Challenge your problem-solving skills with the new Hanayama ‘News’ metal puzzle from Japan. This beautiful 8-sided puzzle will challenge your dexterity and your mind. Hanayama is known worldwide for challenging puzzles and quality manufacturing. 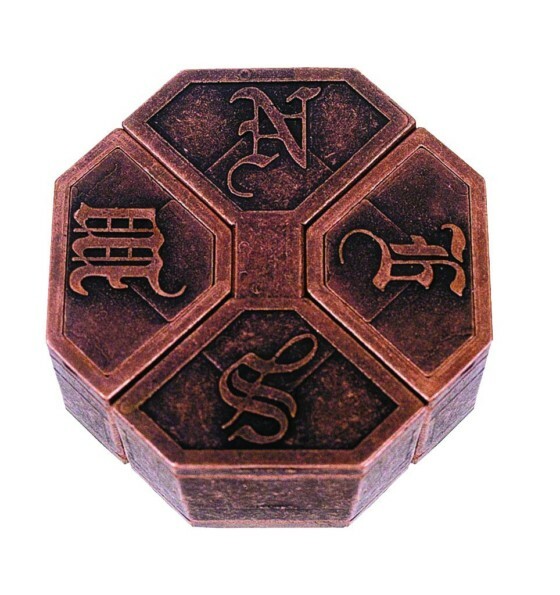 Hanayama’s News Puzzle is an intricate, 8-sided puzzle that will put your skills to the test. Will you be able to separate the pieces and then reassemble the puzzle?